I’m already a big fan of Wagamama so I’m sure you can imagine how happy I was to be invited to visit their restaurant at the White Rose Centre in Leeds to review it. 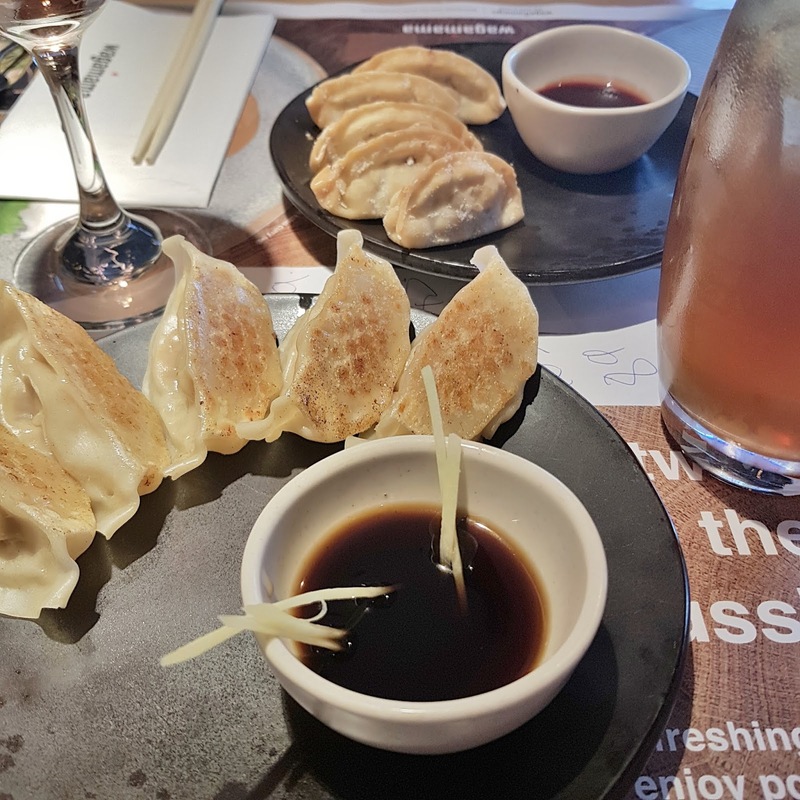 I must admit, it’s one of my favourite Wagamama restaurants as the branch sits a little separately from the centre, meaning you don’t feel like you’re eating in the middle of a load of shoppers but at the same time, you can easily hit the shops after work then head for a bite to eat afterwards. I headed there with Maz for a girly night with plenty of food and naturally we spent about a week planning what we were going to have to eat. Wagamama has a few new additions to their summer menu including a couple of glass noodle salads and even a vegan katsu curry which I’m sure is a gift from the heavens for every vegan out there! We both decided to stick with what we knew and went for our favourites on the menu. Maz had fried duck gyozas and I went for pulled pork gyozas to start, both of which were incredible. 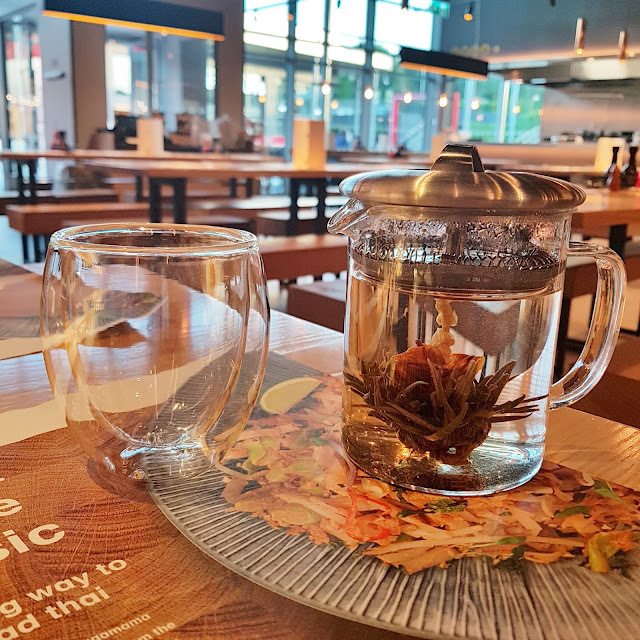 I do quite like that the food in Wagamama just comes out when it’s ready as it makes it feel a bit more relaxed and informal. It meant that we didn’t feel restricted or that we had to leave once dinner was over too - you know when you just need a night of just catching up and properly unwinding? It was one of those nights. 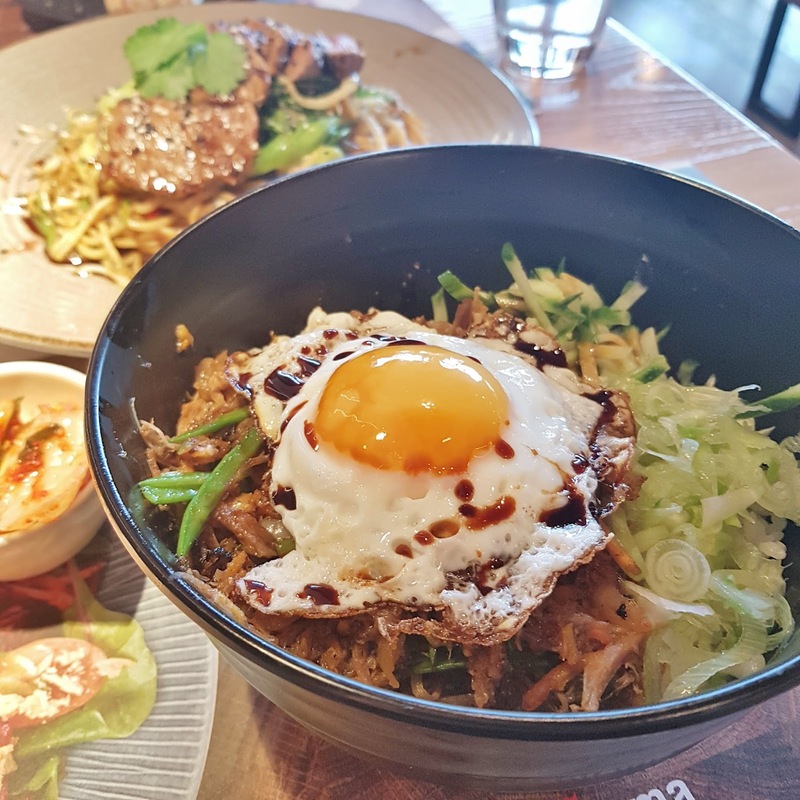 For mains, I went for grilled duck domburi which is tender, shredded duck in a spicy teriyaki sauce, mixed with carrots, mangetout, sweet potato and red onion on a bed of sticky white rice and topped with a crispy fried egg, cucumber and spring onions. It’s my absolute favourite on the menu and though it is very filling with the sticky rice, it’s so full of flavour. 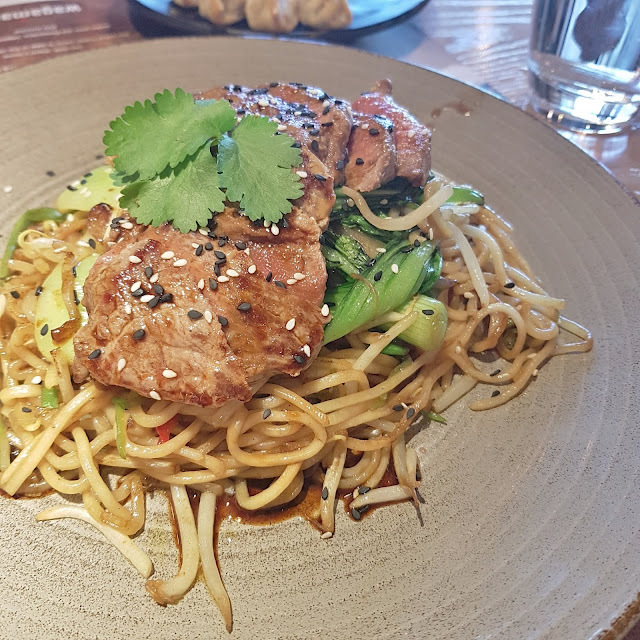 Maz chose the teriyaki soba with steak which is soba noodles cooked in curry oil with mangetout, bok choi, red and spring onions, chilli and beansprouts in a teriyaki sauce. We were both impressed, as always, with the mains but of course made room for dessert as why the hell not? 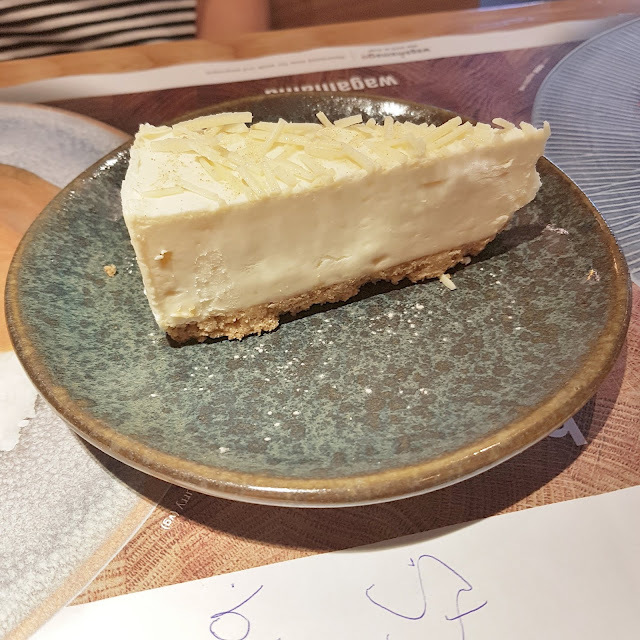 Maz got the white chocolate and ginger cheesecake whereas I went for the chocolate layer cake and a pot of flowering jasmine tea. The desserts were delicious but I’m really glad I finished the night with a tea as I can never resist flowering tea when I see it on a menu. Overall, we were really impressed by Wagamama at the White Rose, the food was delicious and it was just one of those really lovely evenings that we all need more of. 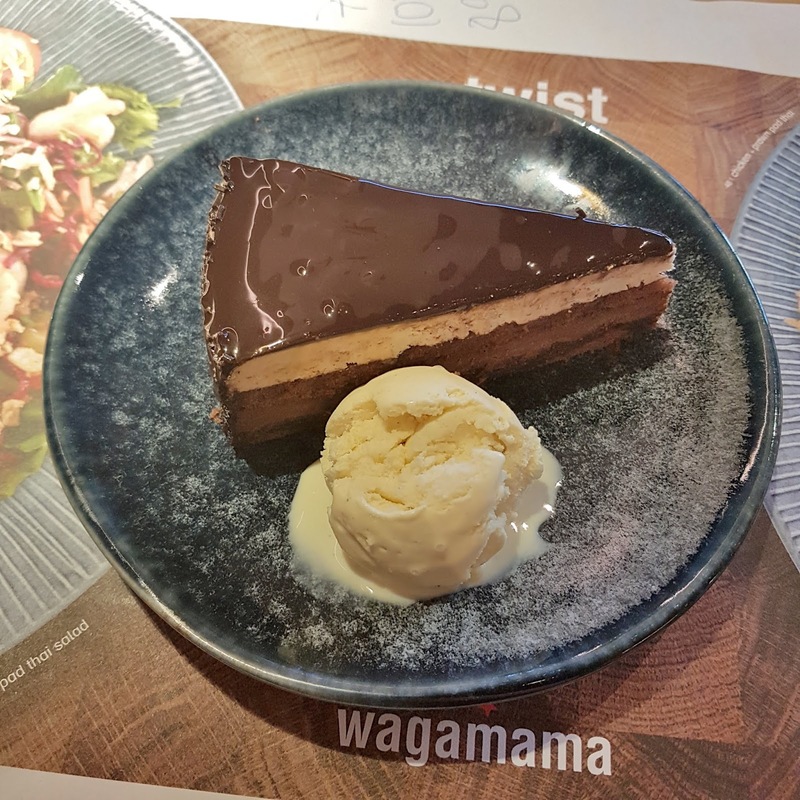 Have you been to Wagamama recently? Will you be going soon? Let me know in the comments.